E-commerce sales could again reach new heights in 2016 as forecasters expect this holiday season to be better than the last. Deloitte, a major consulting firm, predicts sales will grow this holiday season between 3.6% and 4%. Another consultancy, AlixPartners, estimates the industry’s sales will increase between 3.3% and 4%. Total sales are expected to hit $95 billion; a statistic that would take e-commerce’s share of total holiday season sales past the 10% mark for the first time. What’s more, according to the Ecommerce Holiday Trends Report released by RJMetrics, the days from Black Friday through Christmas pull in 50-100% more revenue compared to shopping days throughout the rest of the year. The holiday season may very well be your make-or-break season. This is the time when you should invest the energy and resources necessary to prepare your business ahead of time. Inevitably, you will spend most of your time fulfilling orders and handling customer inquiries. You will have neither the time nor the desire to fiddle with anything else. To help you plan accordingly, we’ve examined all kinds of holiday statistics, predictions and even took a look back at some of the lessons we learned last year in order to put together a list of the most common, impactful tactics and strategies you can implement this year in order to increase revenue during the upcoming holiday season. Exclusive Bonus: Download the FREE Cheat Sheet that includes five tips and strategies to boost e-commerce sales this holiday season (and make this shopping season your best one yet)! If your website is slow or temporarily crashes, you will lose customers. Aim to keep your page load times under three seconds, if possible. Two seconds would be ideal. If you’re using a professional hosting service or a cloud-based provider, increasing capacity can be as easy as contacting your host. If you want to take a more hands-on approach, examine your past traffic levels to establish a benchmark for visitor totals during non-peak months. Then, compare traffic against data from last year’s holiday season. If the latter is significantly higher than the former, you now have a better idea as to what kind of traffic levels you must prepare to support this year. Just to be safe, you should prepare for a spike that is at least 100% higher than what you might normally expect. Even still, outages can happen unexpectedly. Last year, Target’s site slowed considerably on Cyber Monday. 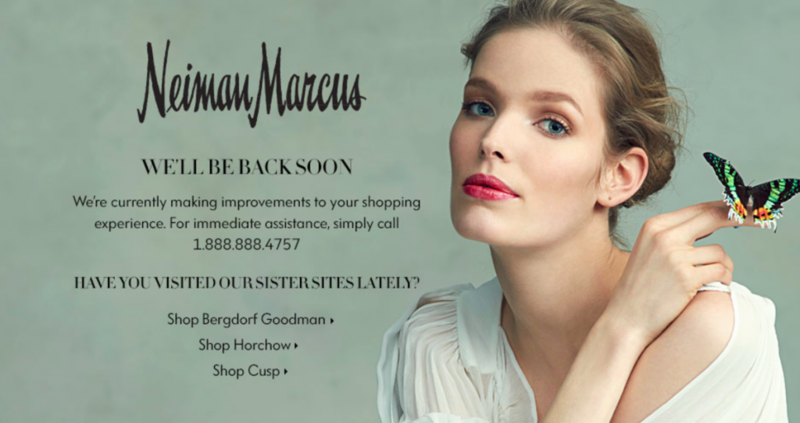 Neiman Marcus experienced two major outages last year which caused the retailer to miss Black Friday entirely. If preparing your site for a spike in website traffic is priority number one, optimizing your online store for conversion should be a close second. Regardless of the device being used, consumers expect to find what they’re looking for in mere seconds. This year, more than ever, you must tailor an online shopping experience with conversion in mind. According to eMarketer, retail e-commerce is expected to grow by nearly 18%, propelled by a significant uptick in mobile shopping. If it isn’t abundantly clear what sales you’re offering, many shoppers will look elsewhere. So, optimize your online store to funnel customers to holiday deals and top-selling items. There are a limitless number of tactical steps you can take this season in order to capture a shopper’s attention, boost conversion rates and increase sales. In fact, there are too many to list in this post. So, here are five of the most impactful design tips that retailers used just last year to increase conversion rates and increase average order value. According to an American Express Survey, 78% of consumers cancel a transaction because of poor customer service. So, staff up. Make sure you have the infrastructure and support in place to handle a significant uptick in orders, returns and customer inquiries. If possible, you should plan for around-the-clock customer support. Most importantly, however, ensure that you have an established process for handling all types of customer support requests this holiday season. For example, triaging customer interactions as they come in can help to decrease the workload on your support team while ensuring all support inquiries receive instant attention. Set up automated rules to flag support requests for common keywords such as “lost password” or “return policy.” This way, support requests are automatically flagged and sent to the appropriate team member for a final resolution. You should also consider creating a self-service customer support option this holiday season. Creating a knowledge base allows customers to resolve issues themselves, allowing your customer support staff to focus on higher-priority issues. More importantly, you can easily add an FAQ page to your online store in advance of the holiday rush. Put yourself in the customer’s shoes. Anticipate their questions and create an online resource that provides detailed answers to the most common questions you expect to receive. According to UPS, delivery speed is the fourth most important factor in the online shopping process. Even that statistic might be conservative. Last year, FedEx received national attention following a massive package delivery nightmare resulting in thousands of late Christmas presents. Business Insider recently revealed FedEx’s plans to ensure the same thing doesn’t happen again this year. Make sure you’re ahead of the game. 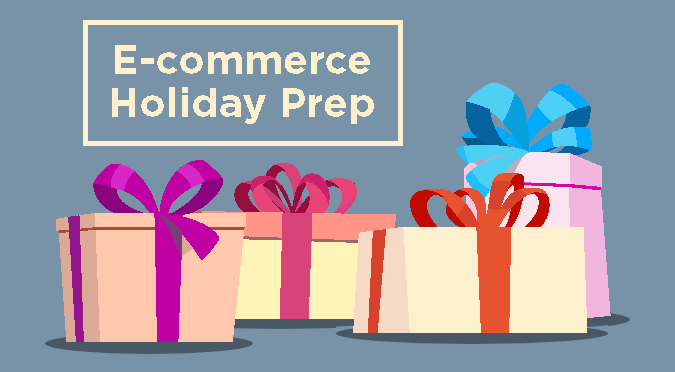 To avoid unnecessary headaches throughout the holiday season, plan and post shipping ETAs and guidelines prominently on your website. Doing so can help reduce the number of customer support inquiries, freeing you and your team up to focus on more pressing items. Plan your shipping dates well in advance in order to ensure your customers’ orders make it to their final destination in a timely fashion. DealHack has put together a list of the holiday shopping deadlines for three major U.S. shipping carriers (UPS, USPS and FedEx) as well as for 10 of the most popular online shopping destinations for American shoppers. Be sure you familiarize yourself with these dates as early as possible. Under normal circumstances, you may not wish to incur additional costs in order to secure a sale. The holidays, however, are anything but normal. Increasing sales is your number one priority during this peak season, so you may want to consider adopting a more shopper-friendly shipping and return policy. For example, last year Target offered free shipping on all online orders during the holiday season. 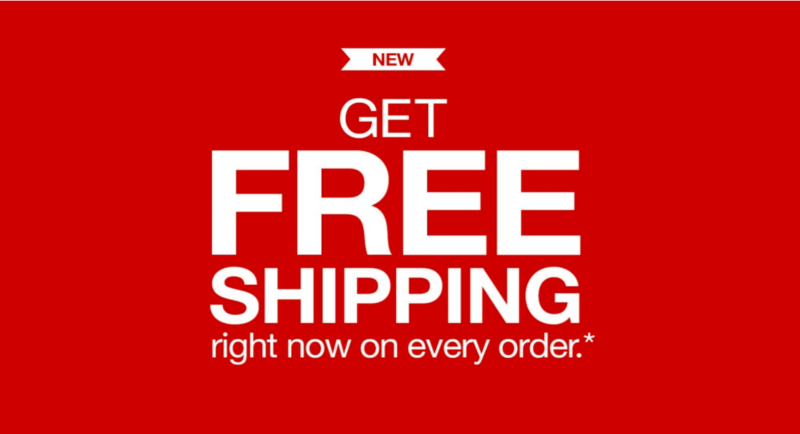 It was the second year in a row Target offered free shipping for holiday shoppers. According to Slice, an e-commerce analytics provider, Target’s policy resulted in a 3% increase in average order size. If you’re not comfortable extending a free shipping option to your customers, consider loosening the reigns on holiday returns. A more favorable return policy removes a potential barrier from the purchase which is why a number of online sellers have turned to a hassle-free return policy. In fact, last year’s Mystery Shopping report, produced by the e-tailing group, revealed that 19 out of 100 retailers allowed shoppers the luxury of free returns while 5% made it conditional. This holiday season will again set records. You should plan in advance for unprecedented order volume and ensure that you have the infrastructure in place to support a significant uptick in traffic, orders, returns and customer support inquiries. November and December drive 30% more e-commerce revenue than non-holiday months. Most e-commerce business owners cannot afford to take any chances. In fact, if you haven’t started your holiday planning, you’re already behind the game. Here are 33 additional marketing techniques you can use to boost e-commerce holiday sales.